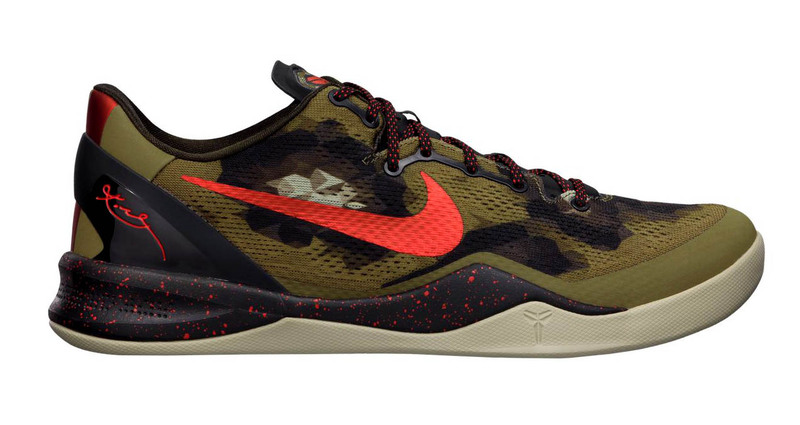 The python-inspired Kobe 8 is now available. Nike Basketball's second new colorway release of the day along with the "Ice Blue" KD V is the python-inspired Kobe 8. In 'Squadron Green/Chilling Red-Light Brown', the Kobe 8 gets a reptilian look in an olive green, black and brown Engineered Mesh upper with "Chilling Red" accents on the Swoosh, speckled midsole and two-toned laces. 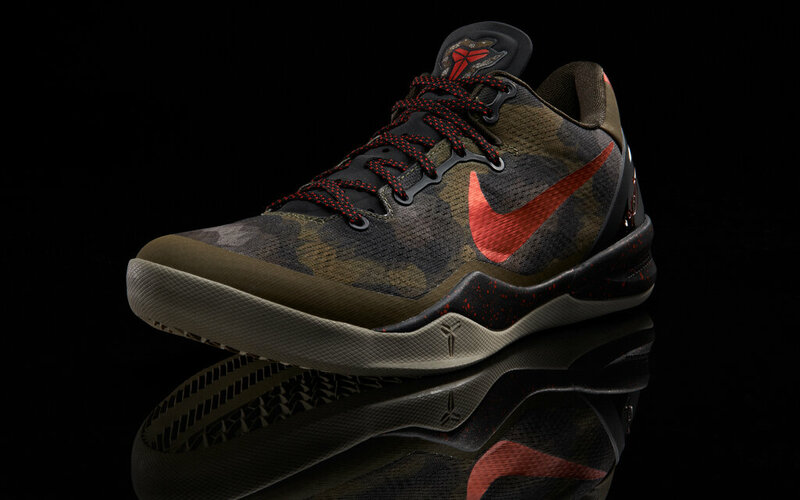 The Kobe 8 "Python" slithered into select Nike Basketball retailers today, and is also available online from Nike Store.